The story is based around Hannah. Hannah is living her childhood dream dancing in New York for the Manhattan Ballet company. She lives and breathes the ballet and her entire life is devoted to and revolves around it meaning she has very little time for anything else at all. 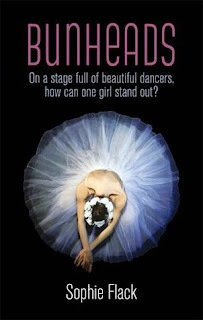 The story gives you a real insight into the life of dancers and shows you that it isn't all glamour and glitz like you might be led to believe especially considering the things they have to give up to be their very best day in day out. I liked that you got this look into the world of the ballet very vividly. The storyline is quite slow throughout the entire book as it is day in day out ballet. The writing itself is good which keeps you drawn in but I did find myself wanting and waiting for something to happen. The reason why I didn't wholly love it was because of the love interests. From reading the blurb you could get the idea that it was a real sweep-her-off-her-feet love story whereas actually she meet the boy ignores him pretty much most of the time then dates someone else (mainly it seems because he has money) before deciding that she is giving up too much to be a ballerina which really was nothing to do with the boy. While I don't need a girl to be swept off her feet to enjoy a book I found it was actually a bit anti-climatic as that's the sort of book I thought I was getting. That said I actually loved the epilogue and thought it was a really fitting ending to the book and Hannah's story. An interesting read for me. If you were one of those girl who dreamt of being a ballerina when you were small you will love it ... Black swan without all the bonkerness! I LOVED the ballet segments of this book...not so much the romance or the non-ballet sections. What can I say? I kind of wish I had taken dance when I was younger and still find myself drawn to that element in books.